Yesterday, I wrote a post on my other blog (matt-archer.com) about my son participating in the state archery tournament. There are some good messages in that about honing a craft and developing a skill. I thought I’d provide an update here. He was worried he’d get too nervous and lose his zen. I was nervous that I would make him nervous. Neither thing happened. 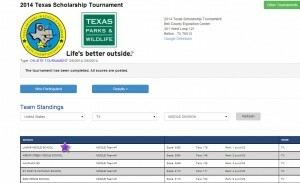 The boy shot a 272 at the tournament yesterday–about where he’d been shooting all year in practice. Which is great! And consistent–a sign of hard work and muscle memory. In addition, after long hours of practice and participation and discipline, I’m proud to say T’s team placed first in the Texas State Archery Tournament, Middle School Division. 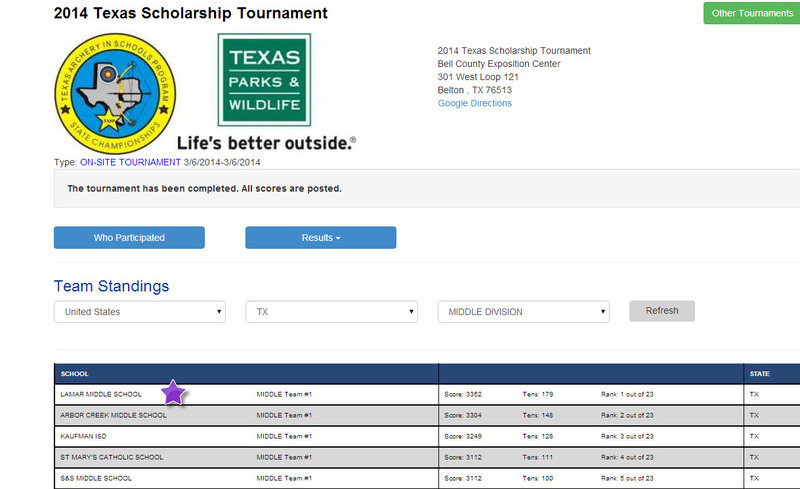 T’s 272 was good enough to place him 28/287 in the MS boys division. 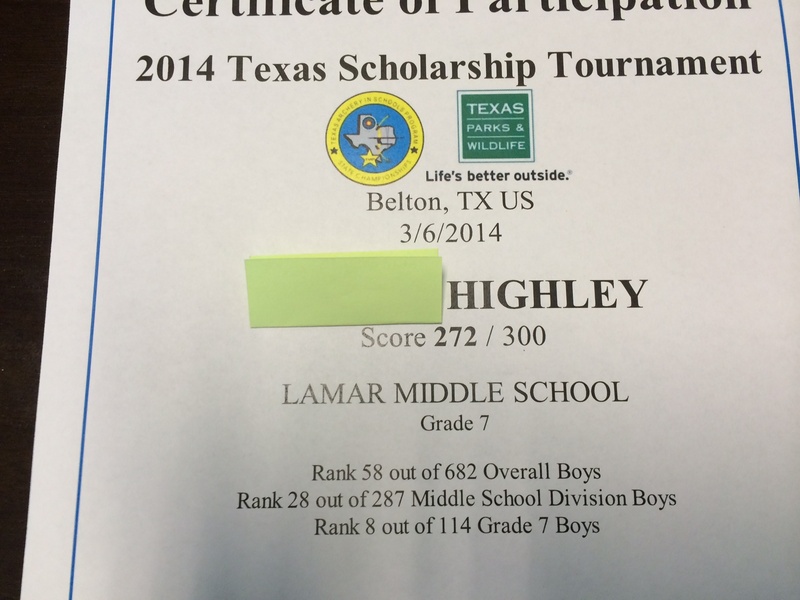 And to give you an idea of just how good Lamar’s Archery program is? 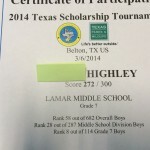 He placed 15th on his team–9 MS boys and 5 MS girls scored higher. That’s a sign of excellent coaching, discipline and focus, and I couldn’t be more proud of how they competed. They acted so mature and professional. They were polite to the line judges and didn’t horse around like other teams did. Every one of them showed up with his or her game face on, ready to shoot. There’s a lesson for me in here. Writing takes hard work. It takes professionalism and patience. And it also takes humility, a thick skin and determination. If you want to become skilled in your craft, you have to stay consistent and put in the hours. Aim for a target. Each sentence, like an arrow shot, will be different. Some will be 10s, some will be 7s. The trick is to recover from the 7s, make a change and move on to the next arrow. This entry was posted in Blog on March 7, 2014 by Kendra.